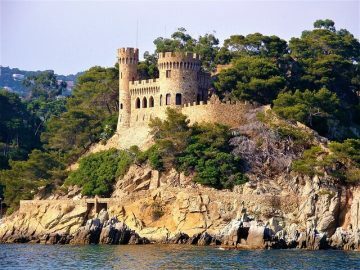 Spain is a country full of surprises and activities for you to explore! Festivals are great for you to immerse in the culture and traditions of Spain. Each village (and city) has festivals that you’ll surely be interested in. For this post, we’ve made a list of the festivals that are worth a visit to Spain. So plan your trip accordingly and enjoy the festivities! It happens all around Spain but go to Tenerife, the “carnival capital” of Europe, for the best experience. The island fills with glitter, glamour, color, contests, parades, and parties. The Carnival in Tenerife is the second biggest in the world only after the one in Rio de Janeiro. You can go to the official Carnival (with hundred organized groups) or the Carnival on the street (with people celebrating on the streets). How to enjoy it like a local? Go to the Carnival on the street and for bonus points, wear a costume. The entire month of February. Get there during the opening parade that happens on the Friday before Carnival. One of the tallest fallas ever made: Falla Na Jordana in 2001. Valencia, Valencia. It also occurs in other towns of Valencia but the biggest celebration happens in Valencia. Fallas de Valencia is a UNESCO’s Intangible Cultural Heritage of Humanity. For 5 days and nights, there’s a street party in Valencia. You can be part of historical, religious and comedic processions and there are fireworks too. And for the most important part: the fallas. Fallas are giant (some of them up to 30 meters tall), colorful statues that are often satirical or inspired in political or pop culture events that happened in the year. Walk the Fallas to explore the city. Each neighborhood creates its own Fallas. March 15th, the Fallas infantiles (smaller Fallas) appear in the streets, March 16th, the Fallas grandes (bigger Fallas) and this is the day when the parties officially start. The Fallas get burnt during March 19th in an event called la cremà. All around Spain but if you want to experience a truly unique Semana Santa, go to Sevilla or Málaga. The most important churches around the country make processions. It’s pretty solemn and you can see many marching through the streets, carrying statues of patron saints and candles. Bring a chair and snacks to the street and watch the processions. It happens at Easter. Each year the date is different so be sure to check before planning. In 2019 Holy Week will occur from April 14th to April 21st. Every day there’s a parade of carriages and riders. They drive to the bullring (La Real Maestranza) where bullfighters and breeders meet. During the fair, the bank of the Guadalquivir River is covered in casetas (marquee tents decorated). There are also roller coasters and an amusement park. Get near the casetas and party and dance all night long to sevillanas. Also, drink Sherry, manzanilla or rebujito and eat tapas. Two weeks after Semana Santa (remember to check the dates because they’re different each year). The fair usually starts at midnight on Monday and runs for six days, ending on the next Sunday. A lovely patio open for the festival in Córdoba. Córdoba, in the region of Andalusia. There’s a contest of the most beautiful patios in Córdoba. Also, the owners of the patios open their doors so people can visit them for free. This celebration is part of UNESCO’s Intangible Cultural Heritage of Humanity. Visit all the patios you can! They’re signaled with pots outside the doors so you can identify them. Visit the San Basilio street to listen to music and have some beverages. During the second and third week of May. This is a music festival that lasts for one weekend. Last bands in the line up have been the Arctic Monkeys, The National, Björk, Radiohead, Arcade Fire, and PJ Harvey. Primavera Sound takes places in the Parc del Fórum de Barcelona. Just let go, music festivals are the same everywhere! May 30th to June 1st in 2019. People soaked on wine after the wine battle in Haro. People just meet to throw wine at each other… isn’t that super fun? At the end of the event, all the town is painted red. During the battle, a band plays and it doesn’t stop until the last drop of wine has been thrown. Get to the main square of Haro dressed in white shirt and trousers and a red handkerchief in your neck and throw wine at everyone. The streets of the neighborhoods of Barcelona are decorated and there are prizes for the best and most extravagant ones. There are also concerts, dancing, exhibitions, correfocs and fire dragons, parades, trabucaires and other religious events (like the mass held in honor of Nuestra Señora de Gracia). Go to the Gracia neighborhood and walk around all its amazing decorated streets. It starts on August 15th and finishes from seven to ten days later. Nine days of concerts, theatre performances, and fairs. There are also fireworks competitions that you can see every night. There are many free concerts in a variety of venues across Bilbao (especially the quarry amphitheater and the Plaza Nueva). You can also watch regattas along the Ría Bilbao, the Nervión. And don’t miss the Bilbao Strongman Concert. Go and watch the Marijaia (the mascot of the festival) floats on a boat downriver and is set on fire on the last day of the Semana Grande. Also, go to Indautxu to have a drink at one of its many bars and clubs. It starts the next Saturday after August 15th. This is probably one of the most famous Festivals in Spain. 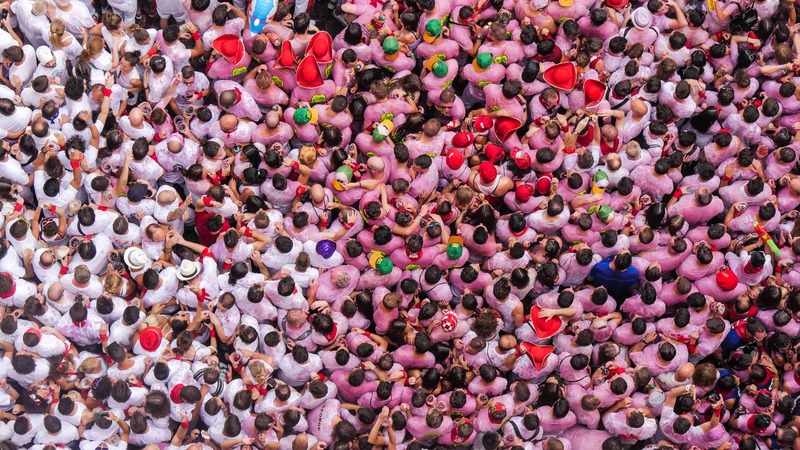 People gather in the streets of Buñol to throw tomatoes at each other (read the funny story of the festivity here). There’s also a palo enjabonado (a slippery pole) with a smoked ham on top, the first person to climb it wins the ham. Get into the tomato fight! Remember to buy your tickets in advance on their official website (there are 20,000 available but they can run out of tickets super-fast). The last Wednesday of every August. Also consider that La Tomatina is the final event of a larger celebration of parades, parties, and fairs so get to Buñol before if you want to enjoy those also. This festival is one of the most famous and recognized film festivals in the world. Big names in the film industry (actors and directors) attend the festival. There’s a special prize, the Donostia Prize, awarded to the people that have contributed to the world of film. Check the screenings available for you and buy your tickets on time. At the end of September. Remember to check the dates before going. As you can read, there’s a festival for everyone! Which one will you attend?